I wonder what may lie down there? I love this photograph, the black and white conversion is really beautiful. Thanx vanecktharien! The reality is that I probably could not frame it any other way without having tourist feet in the picture! 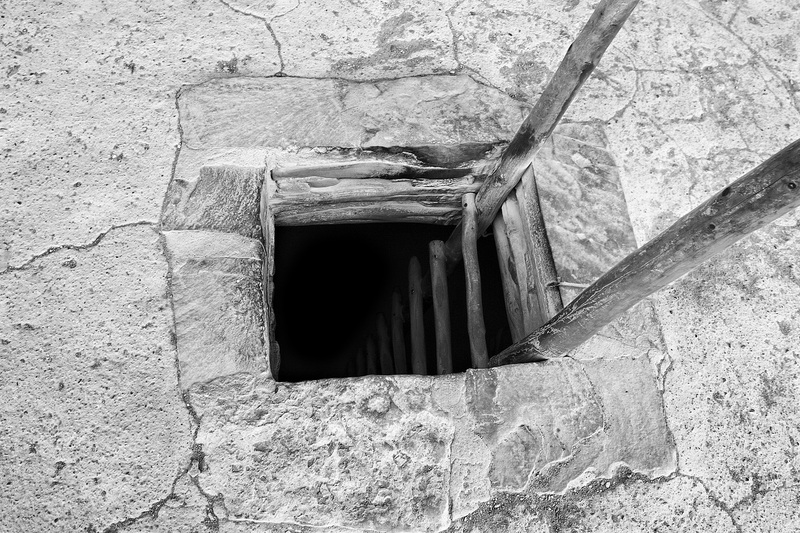 It just leads to the ”basement” of a cliff-dwelling settlement in Monte Verde National Park (Colorado). Thanx very much Mark for dropping by! Love the black & white. I must admit, I would be a little creeped out to go down that hole!